It is rich in anti-oxidants and is excellent for the skin. It is also enriched with Lemon Juice & Honey. It rejuvenates and refreshes the skin & helps in skin lightening. 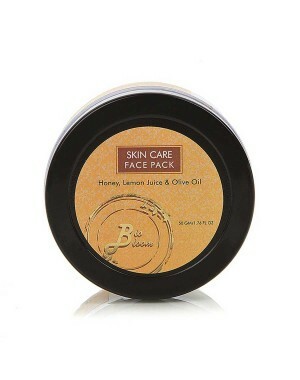 This Biobloom Face Pack for Dry to Normal Skin with Olive Oil is rich in anti-oxidants and is excellent for the skin. This Paraben Free Clay Face Mask from Biobloom is also enriched with Lemon Juice & Honey and rejuvenates and refreshes the skin & helps in skin lightening.